Meghan Markle and Prince Harry stepped out for yet another royal outing on March 23rd, and, as always, Markle looked stunning. She and Prince Harry met with young entrepreneurs and scientists at Catalyst Inc. in Northern Ireland, which is fantastic, but we can’t get over Markle’s outfit because it looks familiar — in the best way, of course. Her lush cream coat looks like the white trench coat she wore at her first outing as an engaged woman. 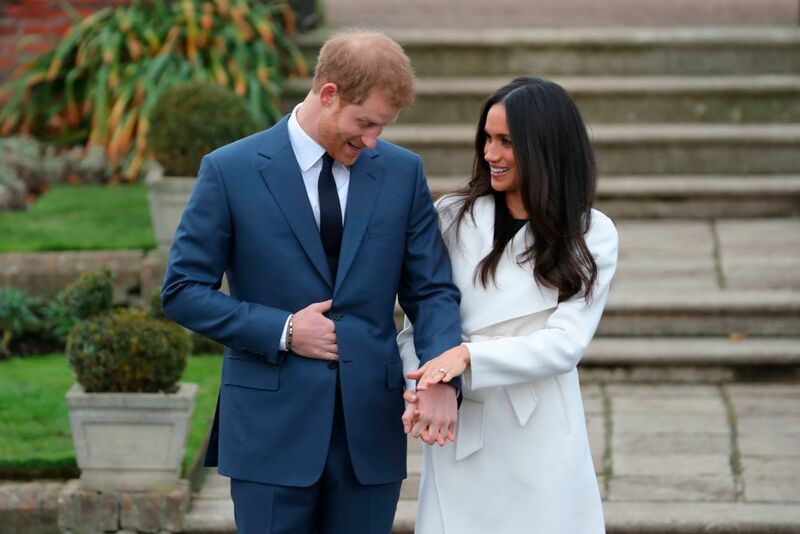 But if you peer closely, you’ll see they’re actually two different pieces of similar-looking outerwear — because clearly Markle has found a look that works for her. And obviously, we’re taking note. Her most recent transitional coat comes from the brand Mackage, retails for $790, and comes in five different colors, including a dainty millennial pink. The Mai Belted Wool Coat With Waterfall Collar is unofficially dubbed “The Royal Look” on the brand’s website, and honestly, one could call all wool coats the “The Royal Look,” because they’re quickly becoming Markle’s signature. Her Mackage coat also looks a lot like the Sentaler coat she wore at Christmas, so if you fell in love with that one but can’t wait until it restocks in June, you know where to go to find the perfect lookalike. 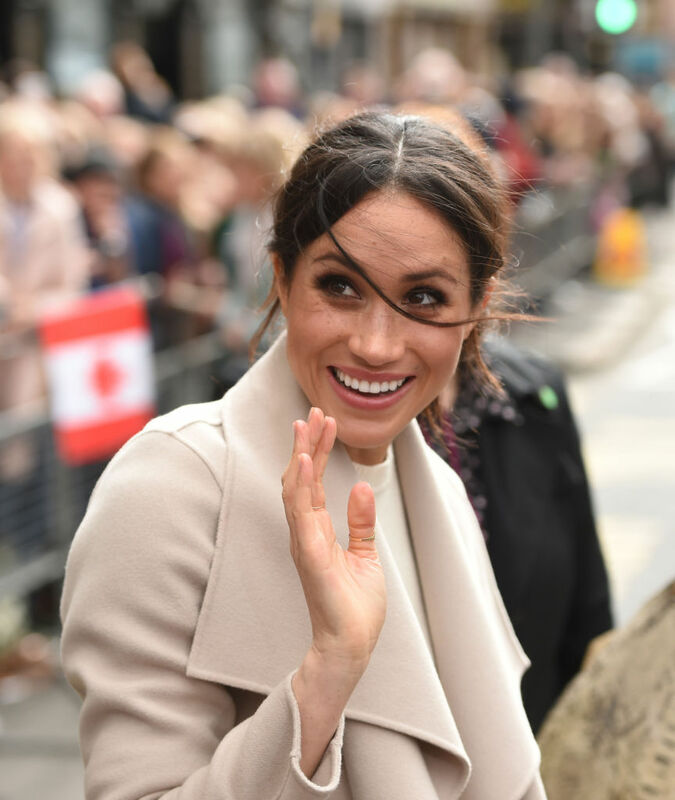 Here, Markle’s most recent look in that transitional coat by Mackage. Her I-can’t-believe-it’s-not-the-same-coat in white by Line the Label. And her other nearly identical tan coat by Sentaler. We can’t wait to see what kind of royal spin Markle puts on the spring season.